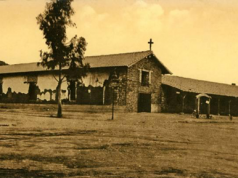 Mission San José, fourteenth mission in the chain, was founded by Father Lasuén in 1797. Originally planned as a base for military operations to control the troublesome tribes of the inland valleys, it eventually became one of the most successful missions in the entire chain. 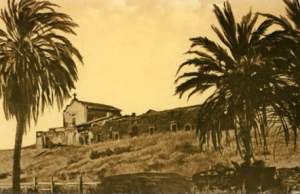 Mission San José was founded on June 11th, 1797 by Father Fermin Lasuén and named for Saint Joseph. The mission is fourteenth in the California Mission Chain. In September 1797 the first church was already completed and in 1809 a new building was dedicated. 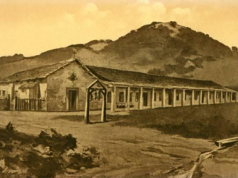 Although Mission San José was originally planned as a military base in the effort to control the troublesome Ohlone Indian tribes of the inland valleys, it eventually became one of the most successful missions in the entire chain. The mission ranked third for number of converts, size of livestock holdings and agriculture production. Around 1805, Father Narciso Duran arrived at Mission San José and worked there for 27 years. Thanks to him, Mission San José also became known for its music in which the Franciscan Father excelled. During his stay at the mission, Father Narciso Duran organized and directed the converted Indians in an elaborate orchestra other than training them as tile and adobe brick makers, blacksmiths, rope makers, shoemakers and carpenters. 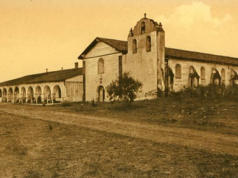 The mission was secularized in 1934 and sold in 1846. It was returned to the church in 1858 and became a parish church. 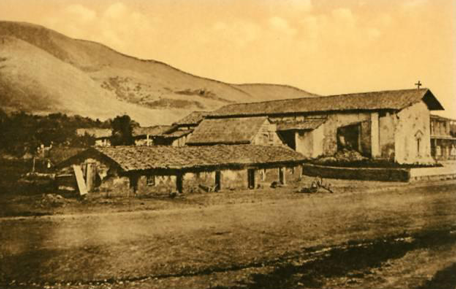 An earthquake on October 21, 1868 destroyed the mission. Works from 1916 to 1950 partially restored the mission using wooden buildings. In 1982, a new restoration project was started and completed in 1985. Real adobe bricks were used and the mission was restored to the way it looked in the 1830’s.